1/16 German Steel Helmet Discounts Apply ! 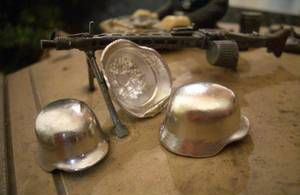 1/16 German Steel Helmet. Add some great detail to your German tank or diorama. Can be painted and weathered. 1 each.